Led by Martha Rice, 12:30 – 2:30pm. 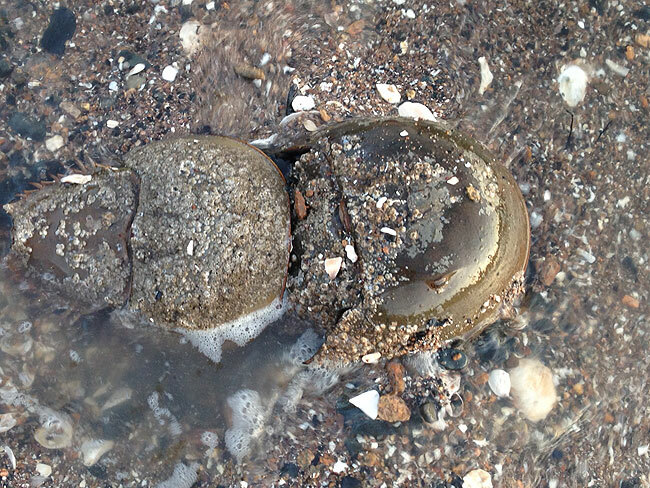 Horseshoe crabs may be our oldest and best friends. Come learn about the research program under way and help measure and tag some of these fascinating creatures. The event, co-sponsored by the Branford Land Trust and the First Congregational Church of Branford, is free and open to the public. Killam’s Point is located along Shore Drive just west of the Orchard House Adult Day Care Center. Please drive SLOWLY to the end of the road to the parking area. Bring water. Walking sticks welcome. For details, call 203-747-4184. For all BLT walks, please wear appropriate dress and comfortable, supportive walking shoes. Bring water. Walking sticks welcome. All events are free and open to the public. For more information, call (203) 483-5263.